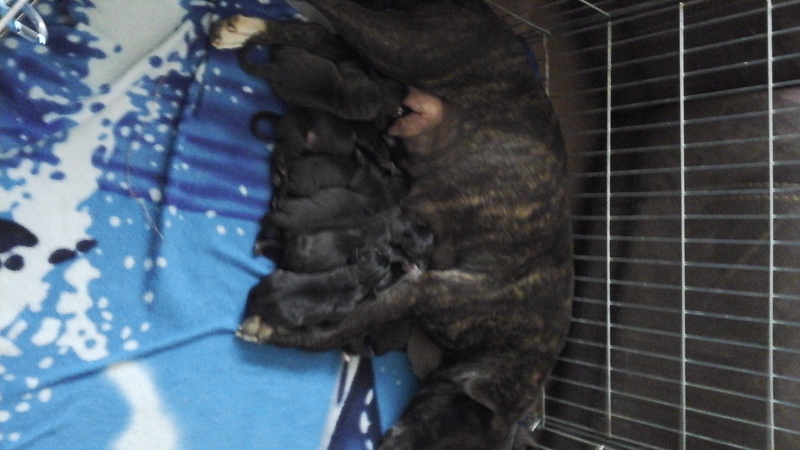 Wymerarma cross staffy puppies for sale. 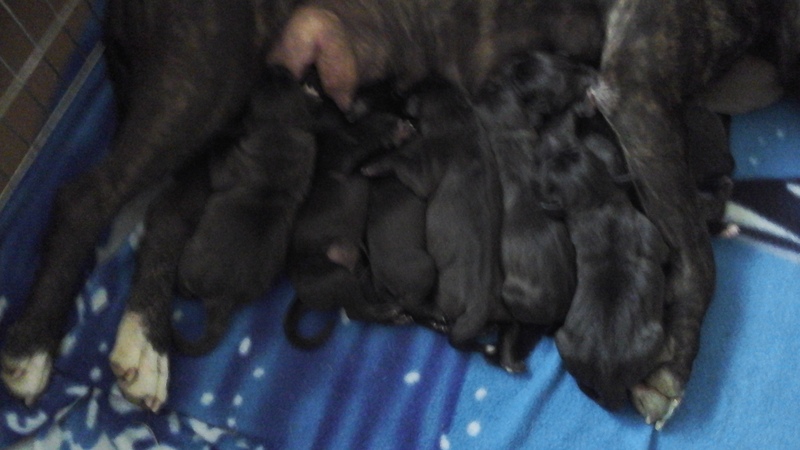 We have 9 puppies for sale. 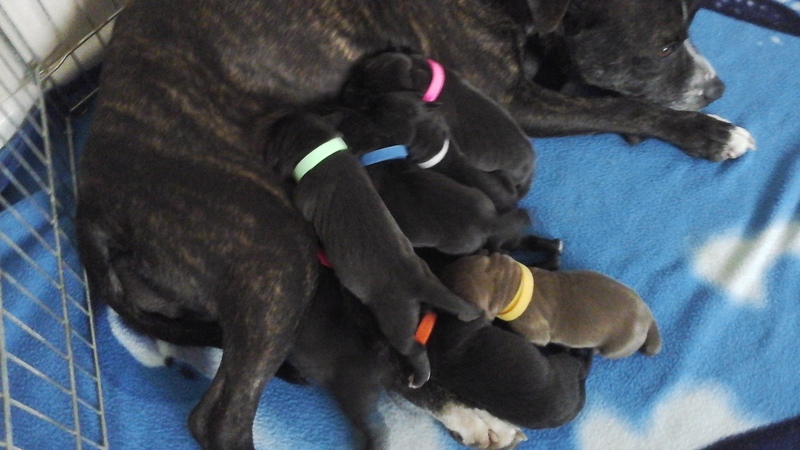 There are 4 males and 5 females. 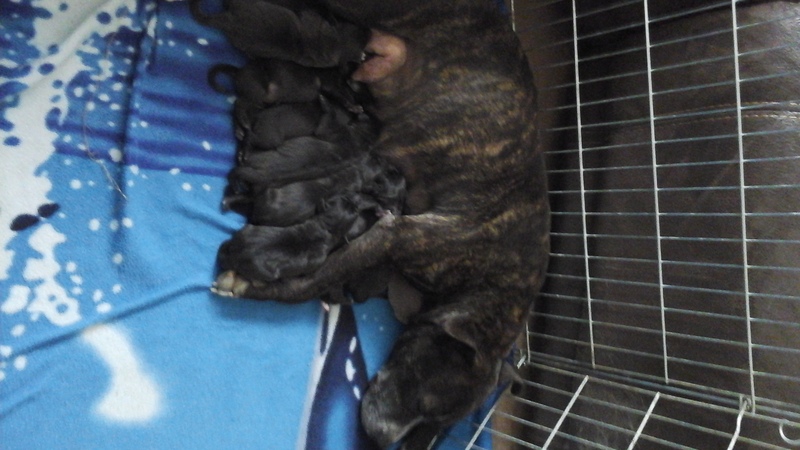 Our Roxie (staffy ) is the mum to the pups and is a brilliant parent. 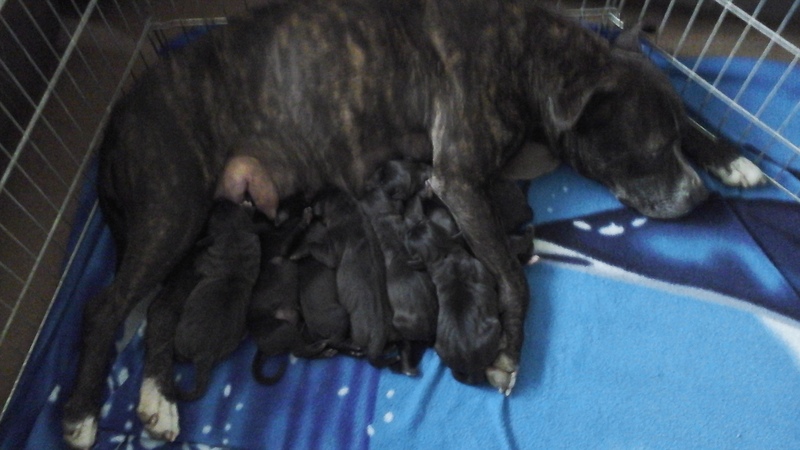 She is feeding and washing them constantly, although she still likes to go for her walks and play fetch. 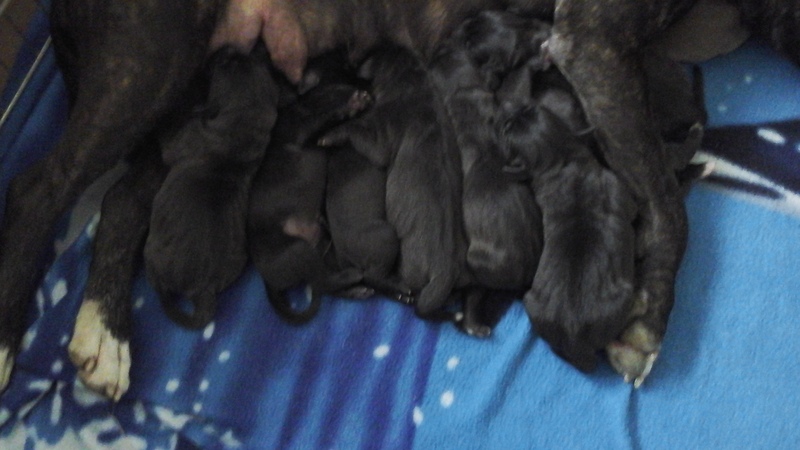 We are asking £500 per pup, with a non refundable deposit of £ 100 to go towards their 1st inoculation, worming and general health care. If you wish us to have a pup chipped prior to pickup it will cost an extra £25. We are NOT a puppy farm. We own our Roxie as the family pet with gizmo our labrador. My son owns Murphy the wymerarma. 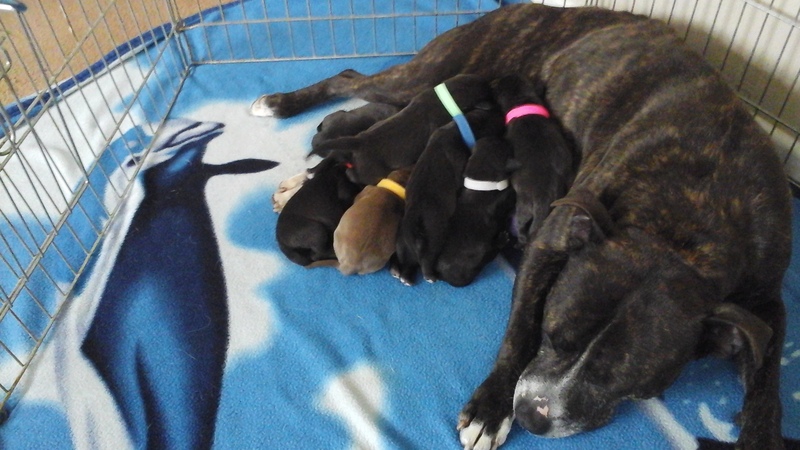 We will not let the puppies go until they are 8 weeks old and they will be given the best start in life before leaving. We hope to have them toilet trained, or at least using puppy pads. We are more than happy for prospective owners to come and view them and to visit them as they develop. Any questions or enquiries please phone.